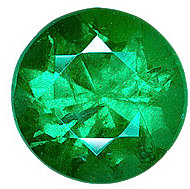 Round Diamond Cut Genuine Emerald in Grade AAA Grade AAA Emerald Gemstones in round Diamond cut display a beautiful vibrant medium dark intense electric green color with a very good precise Diamond cut, good polish and have a clarity grade of "very slightly included." They are of a very fine quality, better than the image shows. Our emerald gemstones have been traditionally enhanced with colorless oil to improve the emerald's appearance. This grade is not always in stock, please inquire. 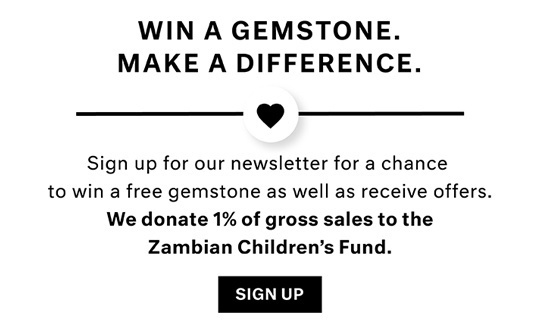 Our emeralds are sourced in Brazil and Zambia. Beautiful Natural Round cut Emerald Gemstones in Standard Calibrated Sizes - We have the Largest Selection of Round Emeralds Available Anywhere! 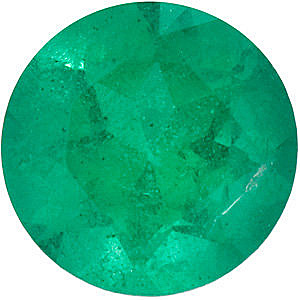 Like our Loose free size Round cut Emeralds , AfricaGems has the best quality and selection of calibrated Round cut Natural Emerald gemstones available on the market today. Standard size Round cut shaped Emerald Gemstones are perfect for creating your dream Emerald ring, Emerald pendant or gorgeous Emerald earrings. 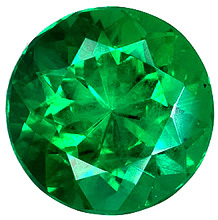 AfricaGems.com can match any amount of loose Round cut Emeralds perfectly for use in any piece of Emerald jewelry . We source our small size Round cut Emeralds mostly from Brazil, from the best Emerald cutting houses in the world. Our standard size Round cut Emeralds are selected from thousands of other Round cut Emeralds for superior color, cut and make. They are carefully graded and selected so that each grade of Emerald is distinct. 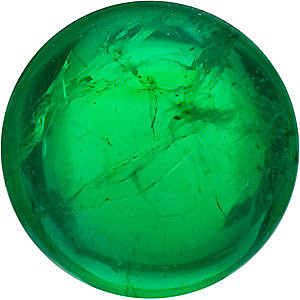 Our Round cut shaped Emerald gems in the "Gem" grade display a beautiful vivid dark green color, are very brilliant and have an excellent cut and polish with a very high clarity grade. These gem Round cut Emeralds make wonderful accent gems or combined together in a pave style make for some spectacular Emerald gold rings. Our Round cut shaped calibrated Emeralds are not lumpy with deep cuts that have no brilliance. They all have very good makes, symmetry and display excellent brilliance and intensity. All of our small sized Round cut Emerald are backed by our exclusive 100% refund policy and have a 30 day return policy.